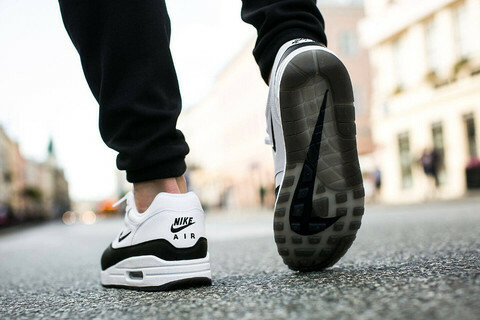 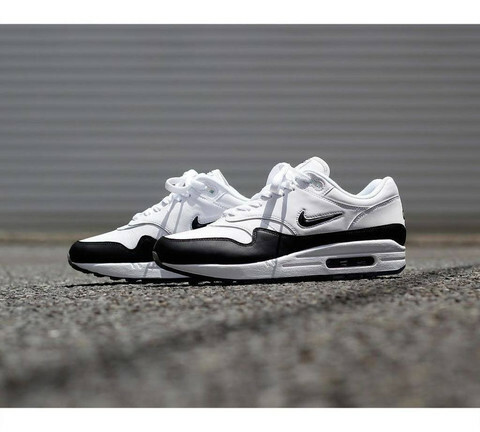 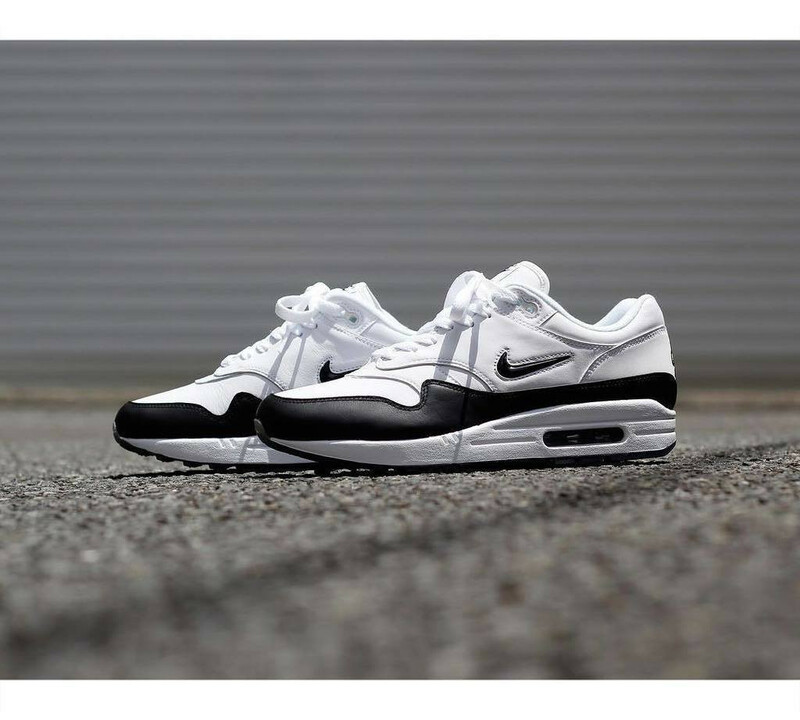 Sometimes it&apos;s best to keep things simple and clean, which is exactly what this black-and-white colorway does for the Nike Air Max 1. 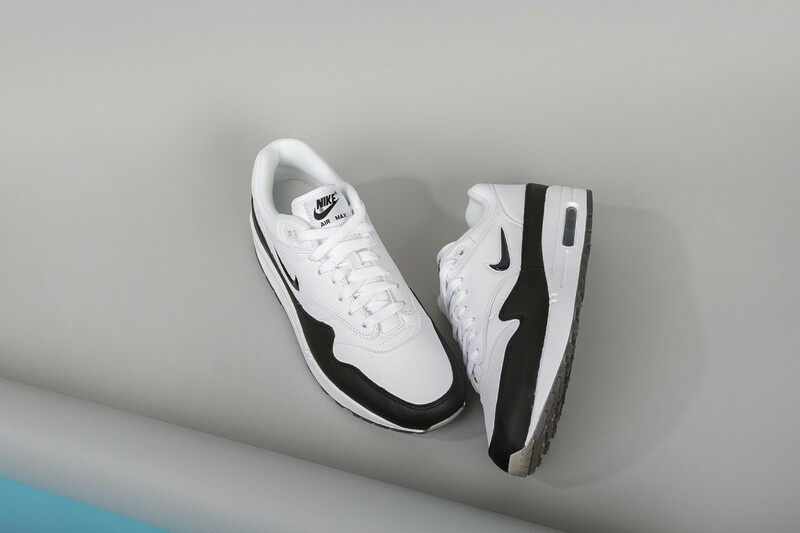 Just when you thought you&apos;d seen it all, a mini jewel Swoosh makes you look twice. 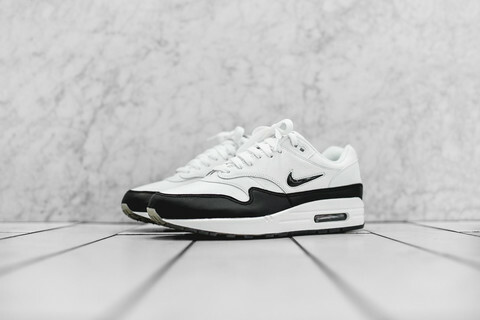 Down below, the translucent outsole and black Max Air window add a dark underline.